The short bob wig has cheek-length middle-parting bang with scissors cut ends. It has the convenience of short hair while still gives you a cute and charming look. 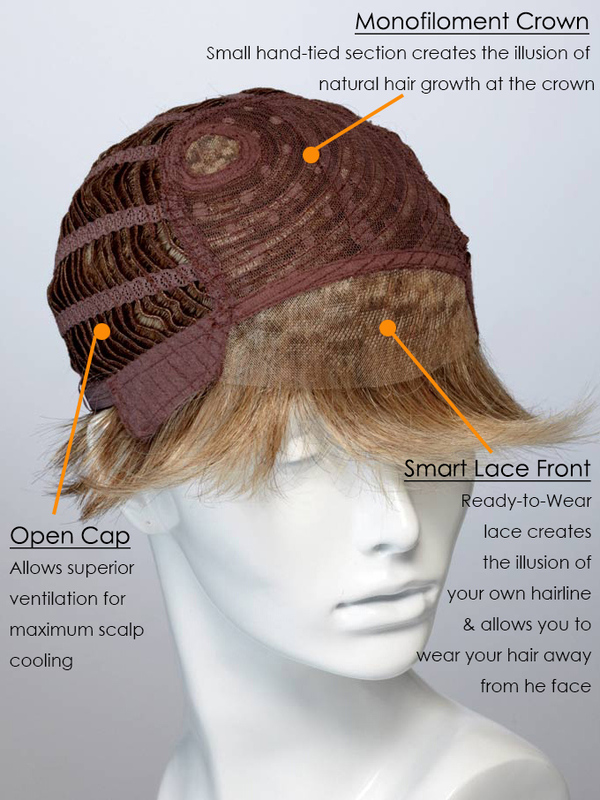 If you are not satisfied with any details of the wig, you may wear it to your head and go to your hair stylist to ask for trimming or any styling. Wonderful valueI have just received my second this wig, this time I choose color 18. It is just gorgeous and the highlights are so subtle. A very very believable style which can be pushed behind the ears or left to frame the face. Wonderful value too, to get a look that will last well if you take care of it. I recommendLove this style and the color is perfect for me. I have a lot of wigs due to very thin hair and so far this one is my favorite! I recommendReceived my new wig with excitement! My friends all said it's super lovely on me.and I recommend to them! Very nice website. Very niceVery nice. Unfortunately - but afraid it was too small for me and with it being a short style I wasn't able to do anything with it.